Set up networks with password-based access, open access, and with captive portal for paid of free WiFi. When the stock firmware of the access point is replaced, the captive portal functionality is automatically enabled on the device. Independently from your business model, Tanaza allows you to fully manage and monitor your guest WiFi access via the cloud. 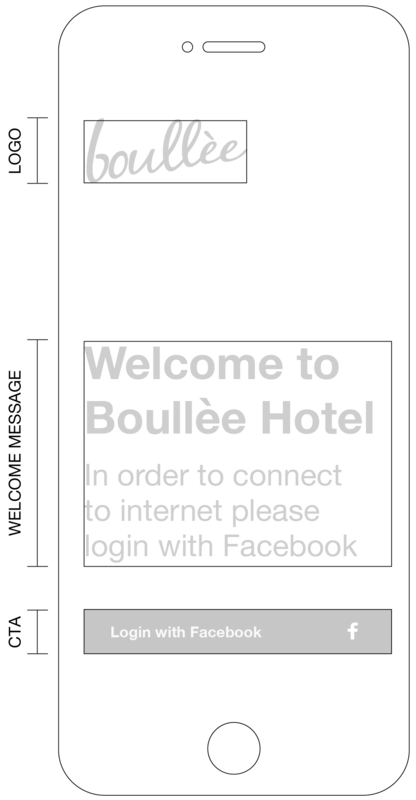 The captive portal is the web page the user sees before accessing a public Wi-Fi network. It is also known as splash page, login page, splash portal and landing page. Through this web page, users can authenticate themselves and register to the WiFi network using their personal credentials. What is the function of the captive portal? 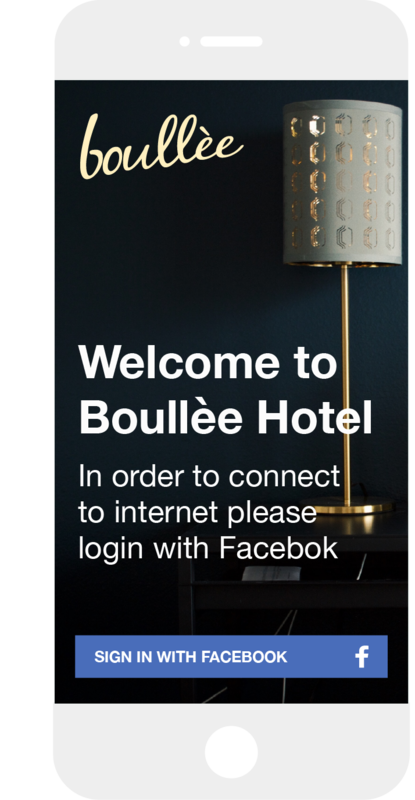 The captive portal enables users to access wireless networks and connects itself to a Radius server in which access data is saved. The captive portal can be used as a marketing tool to collect data and segment users, so that businesses that provide Wi-Fi to their clients can collect useful data and segment it for their marketing campaigns. Last but not least, the captive portal can be used to communicate information, insert audio-video advertisement and other similar content that will be seen by users during the authentication process. All information and data captured about WiFi clients is stored within Tanaza’s analytics dashboard, an intuitive web-based tool to access your social stats and clients’ contact details. 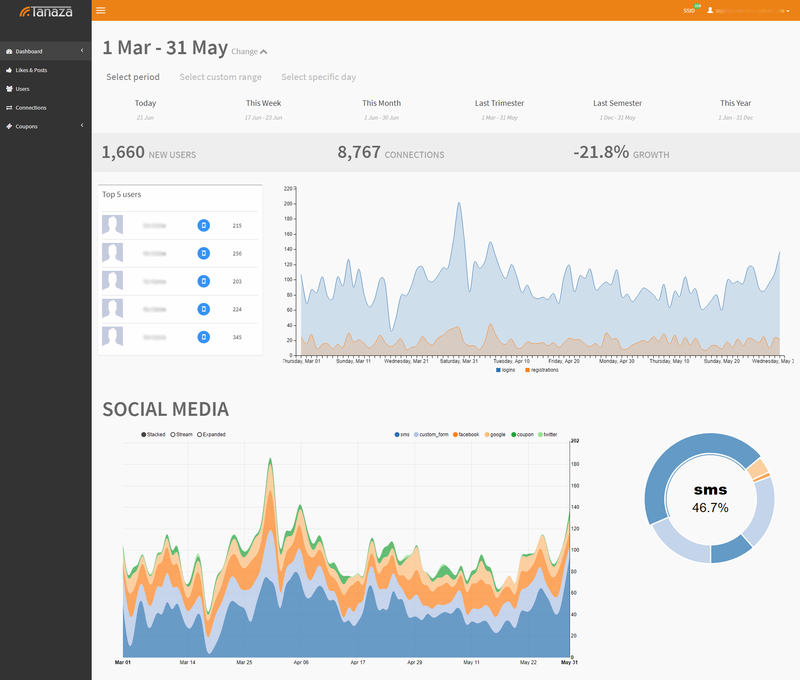 The dashboards helps you analysing data and discovering how to better engage your customers with your brand. It also helps you show ROI to your end user customers, for example, by determining how many new contacts were gathered through WiFi each month, and how much was saved in advertising, thanks to Tanaza’s features for Social WiFi. Thanks to the “Remember me” feature, all clients can re-connect seamlessly when returning to a location they have visited in the past. With Tanaza’s hotspot roaming capabilities, customers do not get disconnected when they move within a location with multiple access points, as they remain seamlessly connected throughout the venue. Enable roaming on your networks, even if they aren’t made of enterprise access points. If you use a UniFi Outdoor outside your venue and some TP-Links for indoor Wi-Fi, the clients roam seamlessly inside and outside your venue without seeing the splash page after the authentication. To set up your own integration with any third party system using Tanaza’s “Push notifications” APIs. 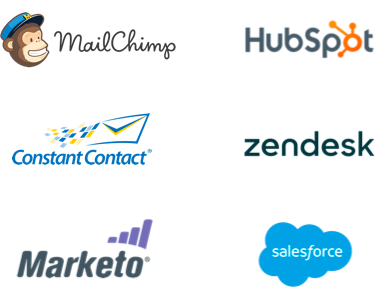 In the past, our customers have used this feature to integrate Tanaza with Zendesk, Salesforce, Marketo, ConstantContact, SendinBlue, Sendgrid, Fidelio, Opera, Plivo, and many others. Thanks to these integrations and APIs, you can access your WiFi clients’ data from anywhere, and use it in creative and useful ways to create your own unique application. When deploying a Wi-Fi network in a public place, such as a school, a shopping mall or a restaurant, it is critical to offer a secure browsing experience to all users. This is why Tanaza features a cutting-edge integrated network content filter, that blocks users from accessing inappropriate or unauthorized websites and applications while using your Wi-Fi network. This filter blocks malware pages and can function as a parental control software tool, as well.